Hello Folks, Northern Belle caught my eye for the dedication she shows to one character, Rogue from the “X-men”. All you Marvel fans pay attention to this one. Andy What was the first Convention you attended? What drove you to attend that Convention? What was your lasting impression of that Convention? Northern Belle Cosplay: My first convention I believe was the 2009 or 10 Wizard World convention in Toronto. I went out of a sense of curiosity and on a mission to find a few comics, and while I didn’t find the particular comic issues I was looking for I found something bigger – the convention scene. My lasting impression was that it was almost like a tidal wave of relief… oh hey! I’m NOT the only person who wants to dress up more often than just on Hallowe’en! 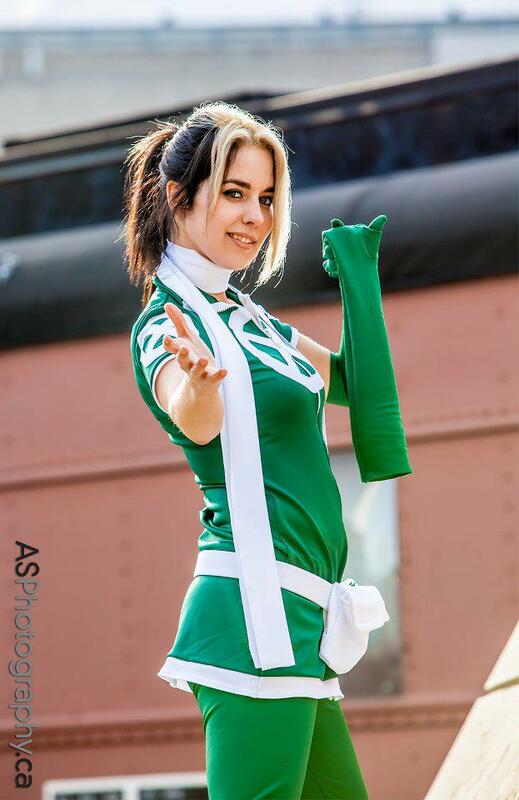 Andy: Anyone can clearly see your love for the X-men character Rogue, was it a cartoon or comic book in particular that drew you to her character? What is it about her you identify with the most? If you were in her shoes, who would you miss touching the most? NB: My first real exposure to Rogue as a character was in the 90’s Animated Series. She was sassy and fun, but above all else she was strong. Not only did she possess great strength and flight making her one of the more active combatants which I identify with, she was also the mutant that would always have to catch Storm when she maxed out her powers or carried two or three unconscious team members and fly off to safety and I really respected that. Furthermore her Romeo and Juliet-esque relationship with Gambit I’ve always found so beautiful, he a ladies man who can have any girl he wants… wants the one girl who can’t have anyone – kills me every time!! NB: not entirely her fault. I also blame the director/writer … that being said I have to admit I am not a fan of the movie version of Rogue. It felt to me like they took Jubilee’s character, slapped Rogue’s original power on her, while I understand there are various reasons for the choices made (accessibility to non-fans, too much story to tell not enough time etc.) I think negating everything that happened with Ms. Marvel is just ludicrous… Rogue went from being a runaway who ended up with the villains and then finally became a hero and an inspiration… to an insecure teenage girl who gives up her powers for the sake of a boy… doesn’t really keep to the strong role model I remember growing up. Andy:You and Cajun Cosplay have done many shoots together, how did you two meet? Why were you drawn to each other? What was the favorite cosplay shoot you two did together? NB: We met through an old roommate of mine back when I was in University. He was an older mysterious man who had such a way with animals I couldn’t help but be impressed, at the time I had fuchsia hair so that must have helped me stand out on some level. Our romance blossomed and the rest as they say is history. 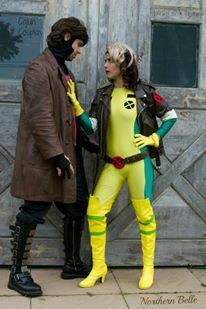 As for our favorite shoot probably the set we did as Rogue & Gambit with the Norm Cheung Photography Club. It was such an amazing environment to work in with not only our costumes and ideas but fresh perspectives and accommodating photographers! Andy: You recently have also done a unique and beautiful Pikachu cosplay, what was the inspiration for the way you constructed the costume. If you could be any Pokemon, which would it be? Why? NB: Cajun Cosplay and I wanted to do an Ash/Pikachu set for Hallowe’en last year. I always watched Pokemon after school growing up and the sole reason? Pikachu. It was his dialogue, although limited to the word ‘Pikachu’ was hugely versatile in tone and the way the character conveyed themselves with limited vocabulary was amazing! He was shockingly adorable, every pun intended. So when I decided to do a Pikachu costume I looked around at other cosplays to see what had been done and aside from the general Poke-suit with the zipper up the front it was mostly scandalous pikachu’s not wearing very much, every now and again there was a cute yellow dress and some Pikachu ears/make up – and don’t get me wrong, these costumes in their own right are FANTASTIC and I would never criticize another persons work as I don’t know what their intentions/goals/skill level/budget etc are, but to me it just wasn’t the Pikachu I remember. Perhaps it is the whole ‘Rogue’ thing coming back but I remember Pikachu as not only cute and adorable but a vicious little scrapper tough enough to help Ash catch ‘em all and so rare in power that Team Rocket was constantly trying to kidnap Pikachu! So to build my own concept I sketched a few ideas trying to create a Pikachu/Street Fighter hybrid… lets be honest while it may not be nice to say, these pokemon spend a great majority of their time sleeping in a pokeball or fighting… So I really wanted to incorporate that “Tough Guy” look, but still try and be cute and feline-esque at the same time. If I could be ANY pokemon… Pikachu is definitely up there on the list, but I’ve always had a thing for water dragons and a soft spot for Dragonair… And Nine Tails… Oh man decisions are hard and I only really know the original 150! Haha! Andy: You recently won first place in the Burlington Toy Show Costume Contest, How did it feel to be recognized in this manner? NB: Honestly I was taken aback! There were some other incredible costumes up there and some more intricate than mine. That being said it was a wonderful experience and it was amazing to have some one really appreciate your work. We all put a lot of work and effort into our costumes, props, make up/wigs, character building… it’s nice to know that is all plays a part. I also tried to pay it forward a bit and used some of my winnings to get a prize for an upcoming charity raffle with the X-Men of Toronto. Andy: Who do you trust with most of your Photo Shoots? Why? How did you learn the right poses for your shots? NB: There are a lot of amazing photographers out there that I’ve had a chance to work with but my heart is torn between two in this regard Joseph Leduc and Peter Zee. Joe and I met back in October at a photography workshop where I managed to get my first ever flying, and probably one of my favourite pictures of myself as Rogue to date – flying across city hall. After that we’ve shot Fox, Pikachu, Legacy Rogue and various other concepts including a Khaleesi Daenerys Stormborn of the house Targaryen coming soon! Peter Zee on the other hand is what I would call my favourite event photographer. 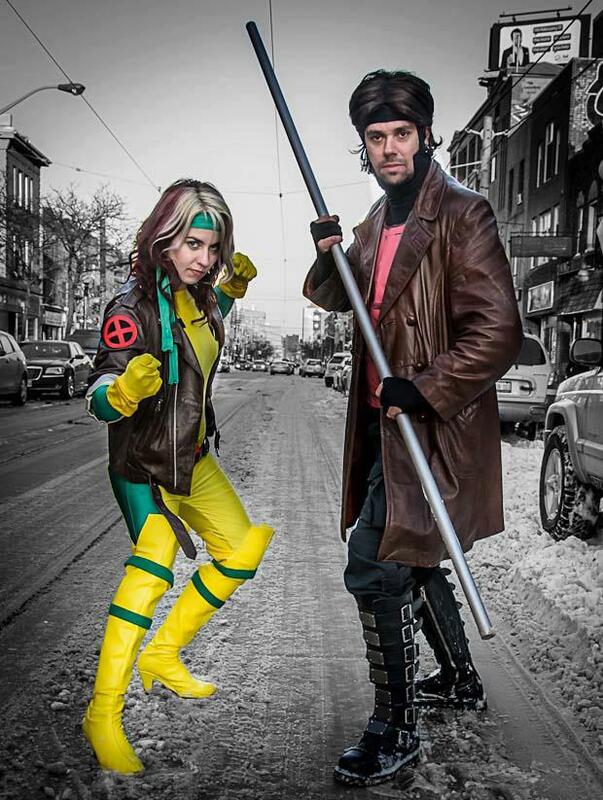 This gentleman donated the first prize we ever raffled off as the X-Men of Toronto (a gorgeous photograph of the Toronto Joker) and he has appeared at many of our events since taking stellar shots of not only myself but also my teammates. Both these guys are always up to try something new and different and they really allow me the chance to be myself in front of the camera and in the end, get the best results. As for poses… honestly trial and error. I take a lot of inspiration from the comics I read or the cartoons… really the initial source of my cosplay, but after that, you just don’t know until you try. I attempted to do a ‘flying Rogue’ shot many times with relative success, sometimes you just need a fresh eye. Andy: What role do you think Facebook has played in your costuming? NB: Facebook hasn’t really played such a huge role in my costuming so much as my networking. It has been absolutely critical however to my role in the cosplay/convention community. While I’ve always been a theatre kid who celebrates Hallowe’en year round I’d get dressed up with no place to go – if it weren’t for facebook I wouldn’t find out about 80% of the events that I attend. Furthermore it is a wonderful tool for me to connect with people who are interested in my work, some times people share Rogue art they find, or have questions they want to ask, it’s a great really, it’d be greater if they didn’t ask me for money all the time to promote my page and limit the accessibility but champagne problems right? NB: It’s kind of incredible how many I’ve already been too this year with FrostCon, Comicon, Canadian Toyshow, Art-O-Con, Niagara Falls Comicon… As for what is coming up Fan Expo at the end of August and Frost Con in December for sure, both here in Toronto. At the moment beyond that my schedule is uncertain, I’m hoping to attend SDCC but still working out the financials for that, cosplay is not a cheap hobby! Haha!